Total impulse buy! 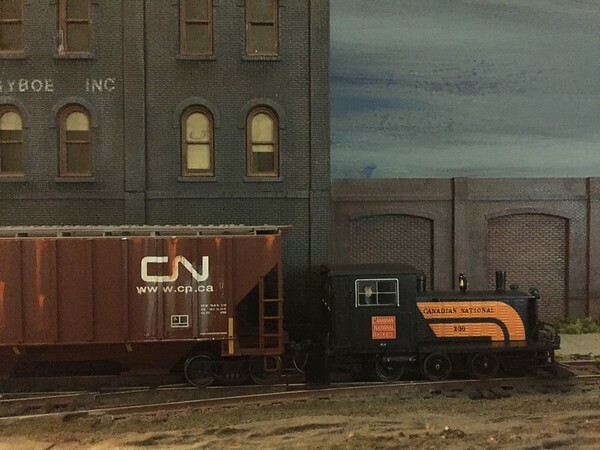 Was in one of my local hobby-shops the other day and saw this little guy sitting on the shelf, a Broadway Imports Limited factory DCC-equipped Portsmouth Diesel switcher in CNR black and orange livery. 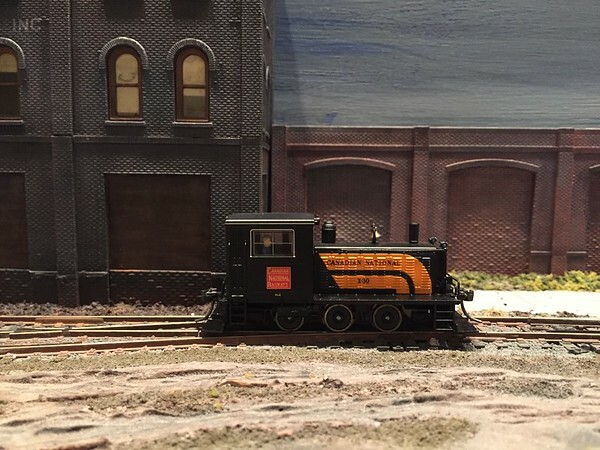 I'm not particularly interested in industrial type switchers but since this guy was in a livery I could live with and it's tiny size is perfect for my little 1ft.x6ft. switching layout...so out came the wallet. The detailing is excellent, painting and lettering crisp and clear. The little guy runs smooth and slow, perfect for a little industrial switching. I'm pretty sure the CNR didn't run these little guys but it's my railroad...so tough luck...it's running the works. Now a bit of weathering is all it needs. Click on the pics to enlarge them.